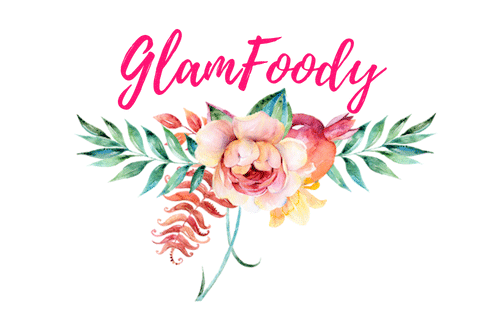 Hi GlamFoodys 😍, I welcome you to a new series of blogs That will have my honest review on products that i tried. Whether i love it 💗or i hate it 💔. 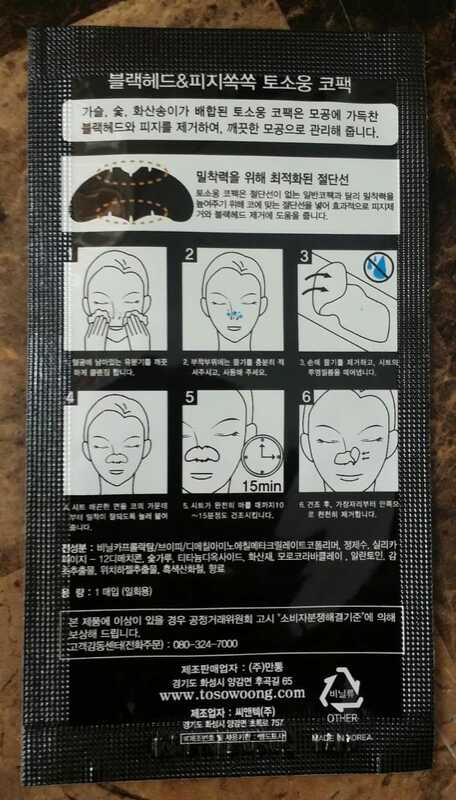 This is the TOSOWOONG Blackheads and Sebum out nose pack,it contains 8 peaces,each one works for only one use. Its main ingredients are : Charcoal powder,Volcanic ash,Moroccan Ghassoul,licorice and witch hazel,which are for cleansing and detoxifying. Moisten nose area with a hot towel to open pores. Peel off nose strip from the transparent film (make sure your hands are dry). 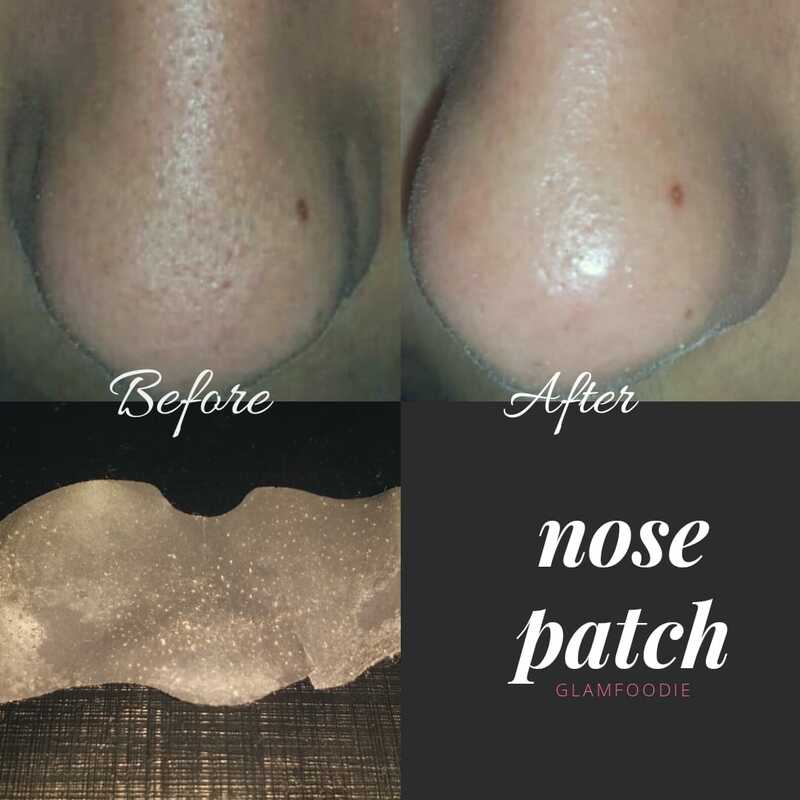 Stick to nose for 15 mn. Peel off the patch slowly from the edges. 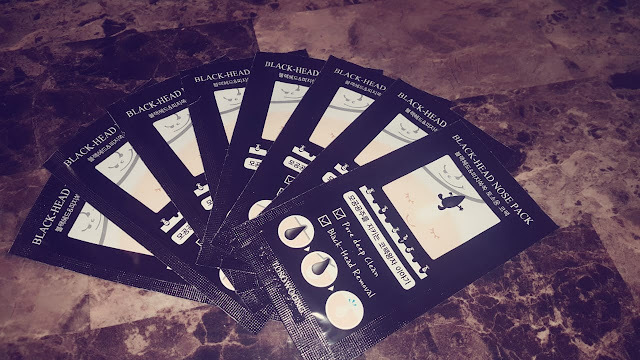 I really loved this nose patch.It's one of a few patch that does the job,it cleared my clogged pores and cleared most of my blackheads and whiteheads,plus it is a lot painless than other black heads mask,I definitely recommend this product for you guys and I myself will purchase this product again 😃😍💗 . Here is a closeup look of the patch that I've used. For a demonstration video check my instagram . 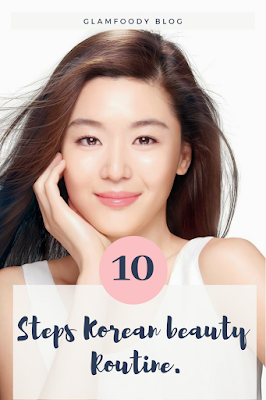 And we can notice that until nowadays,Korean women still focus on skin care as they highly value even, radiant and glowing skin.So i decided why not to try the famous Korean 10 steps skin care routine and tell you my honest opinion. It balances Oil Production,which helps to regulate your own sebum production. 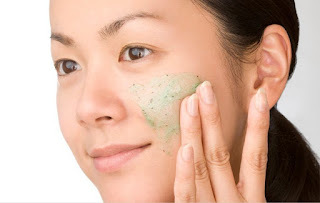 It removes dirt from your pores so its great for cleansing your skin of impurities such as built up dirt and bacteria. It's wonderful for removing make up,even waterproof makeup,you can Simply pour a little oil on a cotton pad and wipe over your eye-makeup;for example, and it will be gone in no time.You will also notice that it'll help nourish your eyelashes and skin while removing makeup, so that's a huge plus. Foams tend to use less surfactants (the cleansing chemicals used to remove dirt and oil from your skin), so they're ideal for acne-prone or sensitive skin. It's the new innovated alternative for soaps,which are well known for their ability to eliminate impurities, clears pores,and built up oils, all while maintaining the skin's natural moisture balance. It's easy to rinse off and leaves nothing behind apart from a clean, fresh, and hydrated skin. Scrubbing gives you clean skin, Free From Flakes and Dead Cells. It can actually make your skin glow,And Removes Dark Patches and acne scars as well. It gives you clean and smooth skin with an improved texture and also Promotes Clear Complexions. It helps to balance the pH, or potential hydrogen, level of your skin. which makes your skin,less prone to oiliness and infection,and creates a more vibrant and smooth appearance. It tightens your facial pores, allowing fewer oils and toxins to settle into the skin. This creates a fresher, cleaner and less oily appearance while preventing acne. It provides hydration to your skin, which is essential to maintaining elasticity, smoothness, moisture and a more youthful appearance. It's more lightweight and less concentrated than serums, and it's used after a toner to add another layer of hydration before you applied serums. 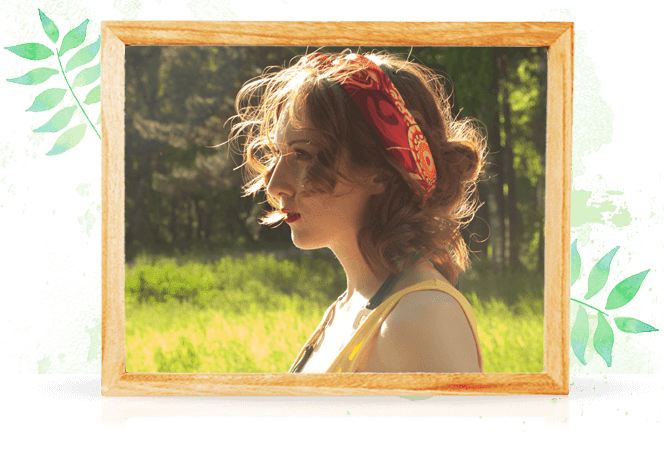 It activates your skin’s ability to retain moisture, and also creates the perfect environment for the rest of your skin care ritual to work effectively. serums can contain up to 70% of active ingredients. This means that you’ll actually get results, whether you’re looking to even tone, reduce fine lines, brighten, firm or get rid of dark spots. It absorbs much faster without any breakout-encouraging residue left behind. It’s the miracle we’ve been waiting for! It keeps your skin hydrated without contributing to that greasy feeling that we all hate so much. 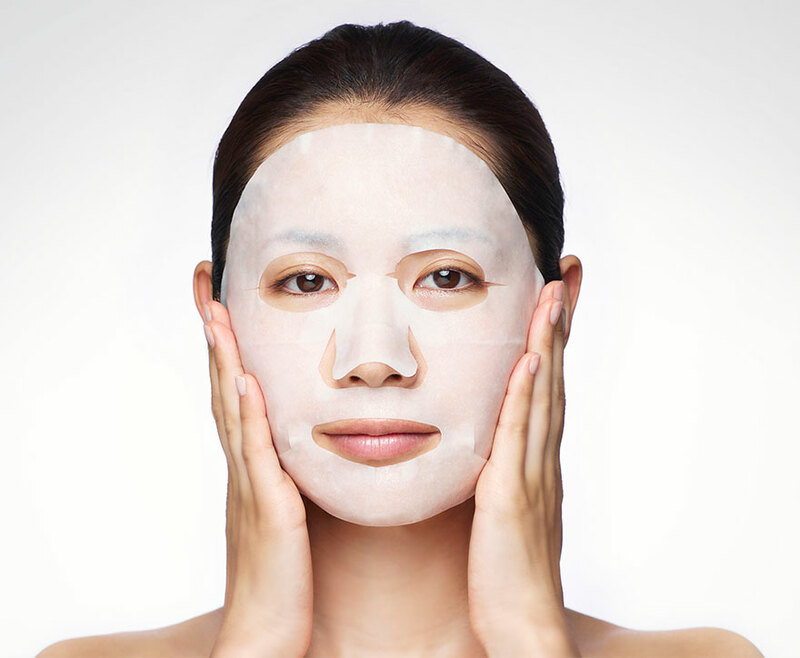 The sheet on your face helps the serum filled with various vitamins and minerals to soak in your skin a little longer, which won’t dry out the skin compared to the paste-type face mask. 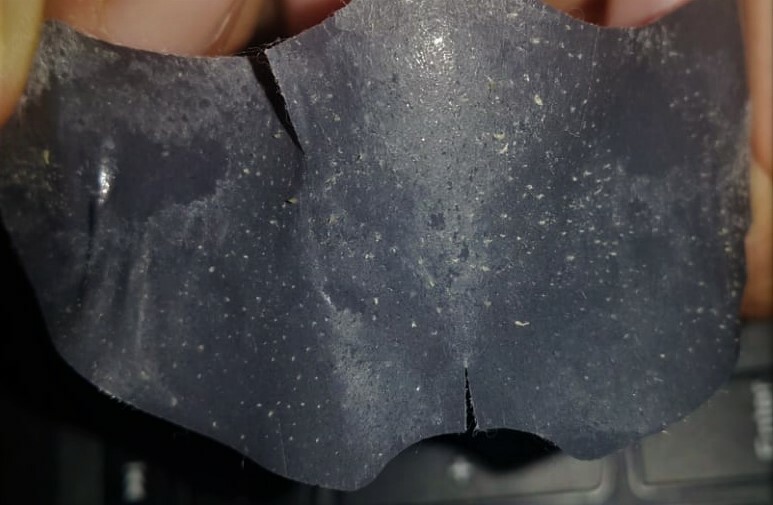 It prevents quick evaporation of water phase and extends the time frame the ingredients require to penetrate deep into the skin.This result in the sheet masks outperforming the effects of the traditional serum-type skincare even when applied once. It is really handy and easy to use, and doesn't make any mess while applying. It reduces and controls the appearance of fine lines.Therefore A lot of young women in their early to mid-twenties are advised to start using eye cream. It essentially works as a moisturizer which the formulation is delicate enough to keep this sensitive area moisturized without causing damage. 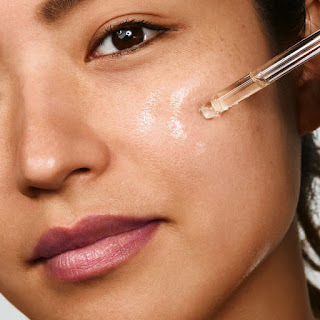 It also protects the eye area from further damage that may have already been resulted by sun exposure,So it will prevent you from having discoloration around the eyes or dark circles . It ensures that your skin has an even complexion along with having a finer skin texture. It boosts collagen in your skin and also helps in renewal of the cells and nourishes your skin. It prevents your skin from sagging while making your skin soft and supple,and helps the skin restore its elasticity within the night. 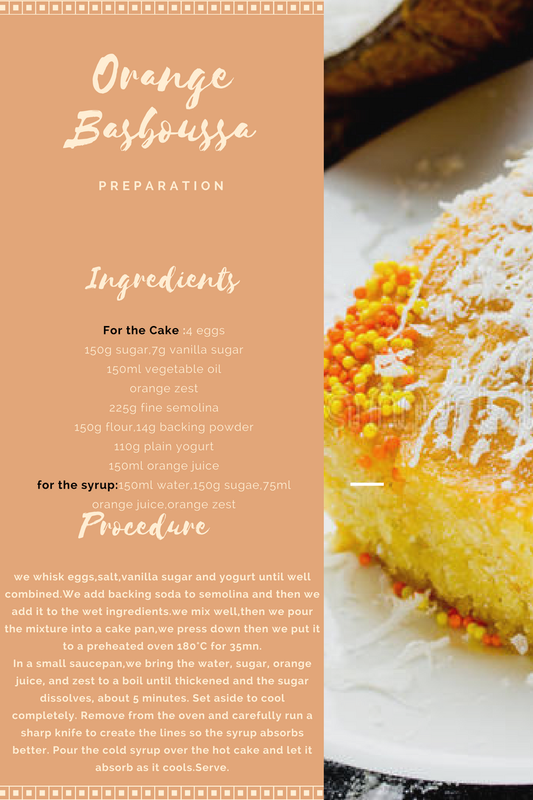 It prevents Sun damage which is the number one cause of premature ageing that shows on our skin in the form of wrinkles or hyper pigmentation. It stops Dullness, discoloration and uneven skin tone caused by sun’s harmful rays. It should be used even on cloudy or overcast days because UV light can still get to skin and cause damage. In this blog,I tried to tell you guys the benefits of each step of the 10 steps Kbeauty Routine,and I shared with you the products that I love using for my daily cleansing routines.None of this products are sponsored I purchased them with my own money !